At Auto Beauty Products Company, we warranty and service a complete line of reconditioning equipment including, but not limited to, pressure washers, orbital buffers, high-speed buffers, extractor carpet cleaning machines, dilution systems and pumps. We understand that your profitability and efficiency is based on the availability and performance of your equipment. 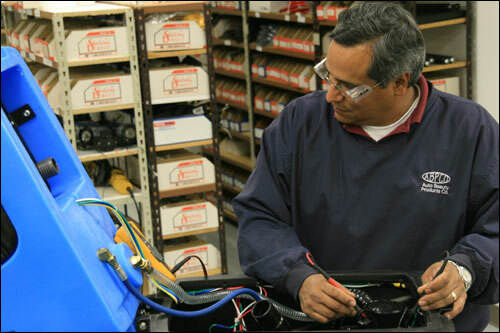 For this reason, we stock a large inventory of repair and replacement parts to ensure immediate parts availability for the do-it-yourselfer and quick turnaround for the repair of your equipment by our dedicated service department. For most equipment, we offer a guaranteed one week turnaround. Contact us to learn more or schedule your service.